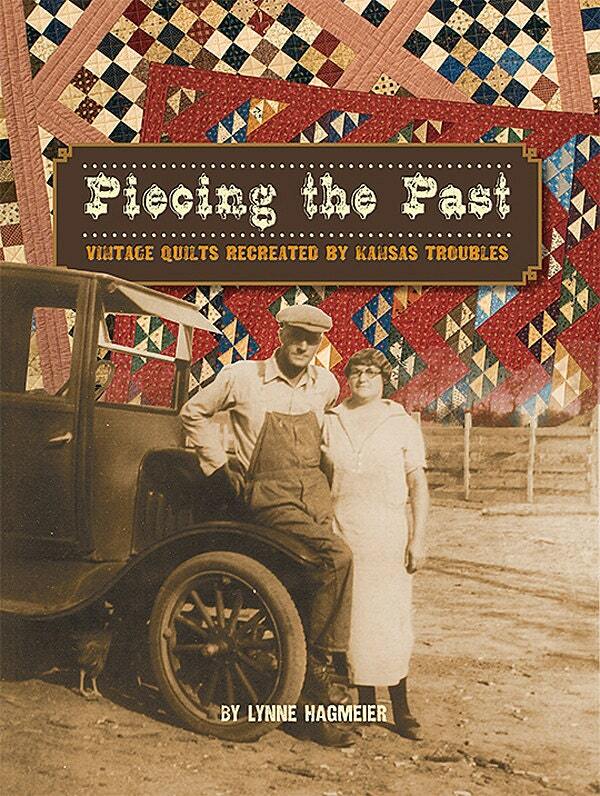 Quilt pattern book called Piecing the Past: Vintage Quilts Recreated by Kansas Troubles by Lynne Hagmeier. 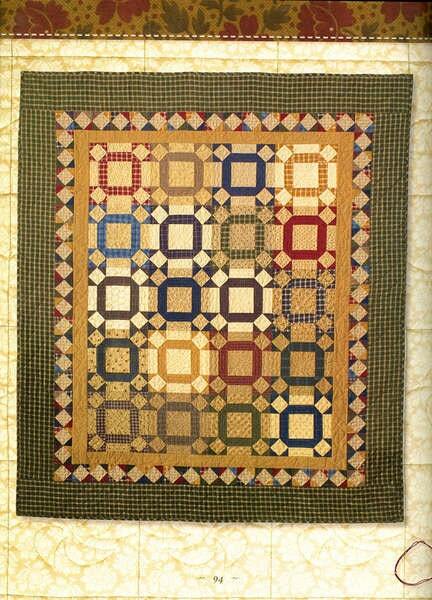 Many of us yearn to create quilts reminiscent of the vintage treasures in our collections. 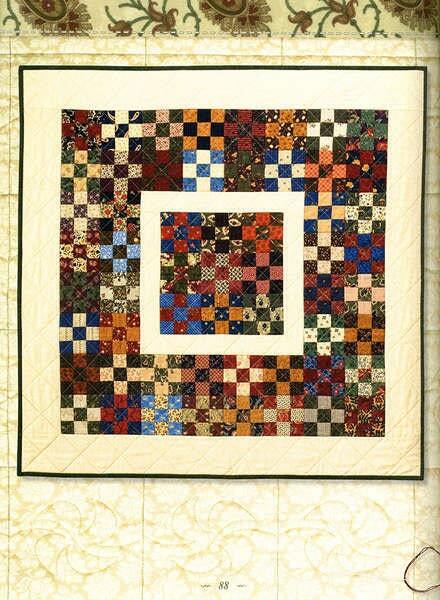 In this book, Lynne Hagmeier shares new quilts inspired by some of her favorites. 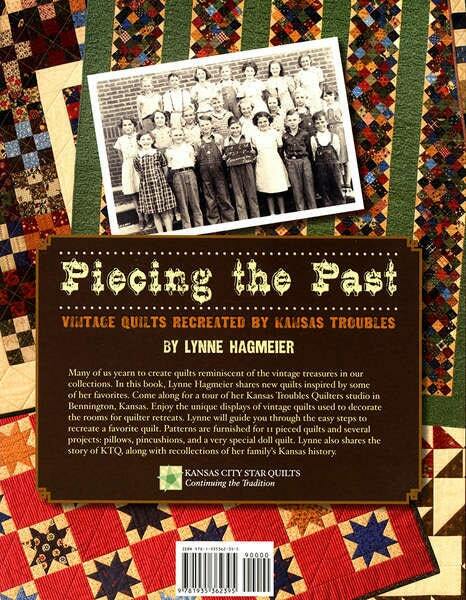 Come along for a tour of her Kansas Troubles Quilters studio in Bennington, Kansas. 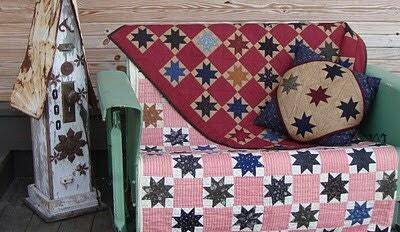 Enjoy the unique displays of vintage quilts used to decorate the rooms for quilter retreats. Lynne will guide you through the easy steps to recreate a favorite quilt. Patterns are furnished for 11 pieced quilts and several projects: pillows, pincushions, and a very special doll quilt.